How do you know if your roof is in need of a repair? The roof is an easy part of our house to ignore, out of sight is also usually out of mind. The only time we take notice is when an unexpected leak appears in one of our rooms. It is vital to the well being of our home that the roof is always kept in good order. A good way to reduce the potential cost of future roof repairs is to make your own regular roof inspections and catch any future problems early. Don’t wait for a leak before venturing onto the roof, get out your ladder today, or call a local professional, and do an inspection so that you can get ahead of the game. Below are ten tell tale signs that will help you to identify any problems. 1 Tiles that are missing. If you find that you have tiles that are missing, there could be a problem with the tile fixings. Tiles should not be falling or slipping from your roof. The tiles that are usually the first so show signs of problems are the course of tiles at the top and at the verge and eaves. These are the most vulnerable. Problems here may indicate that you have underlying problems and a new roof may be in order. 2. Mould on the roof. Large accumulations of moss or mould could be an indication that the tiles are being forced apart from each other, which can cause a weak spot and allow water to enter the building. There are many chemical treatments available to kill roof moss and alleviate the problem. If you can see a sagging in the middle of the roof ridge that could be an indication of strucural problems. Your foof line shoud always follow a straight line along the ridge. 4. Flashing If you see damage to the flashing around vents, windows and chimneys, this could be caused by the sealant below the flashing drying out, which can allow water to seep under the flashing. If you can see evidence of drips or leaks in the attic, maybe dark or white patches on the walls or woodwork, it could be a sign of leaks starting and water entering the roof space. 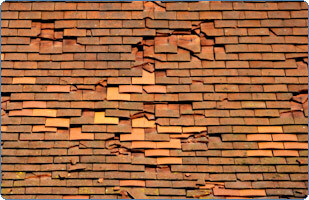 This could simply be a result of a missing or broken tile, or the flashing around a chimney or vent failing. Can you see any light coming through the roof? This again could be missing tiles, or maybe nails working loose and leaving a hole. Is there a lot of sand like material in the gutters, if so these are part of the coating of the shingles or tiles, and could be a sign that the roof is starting to deteriorate. Does the underlay show signs of rotting. The structure of the roof relies on the tiles and underlay working together to form a water barrier. Small tears and rips can be repaired and patched, but worn and rotting underlay will probably need to be replaced, which unfortunately entails a complete new roof. reaching the end of its useable life. Our roofs are exposed to extremes of weather every day. 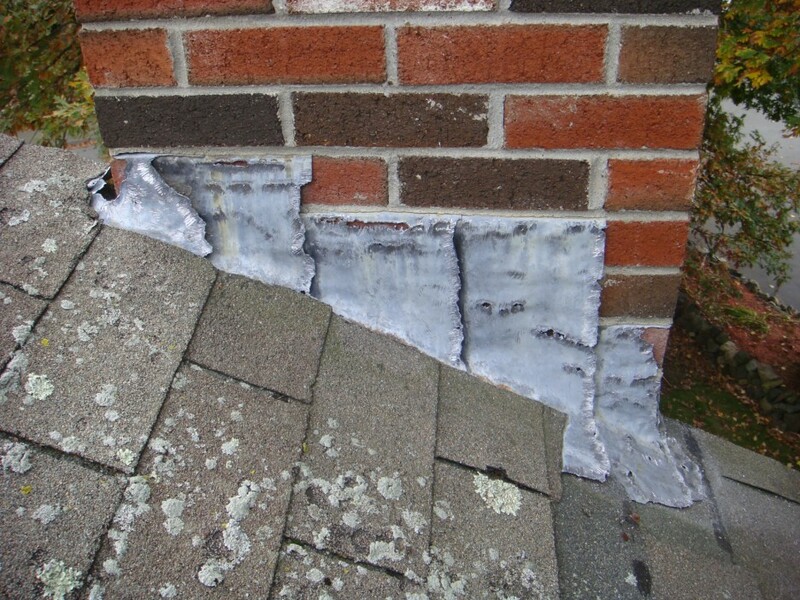 Your roof may be in need of a professional inspection once it is over 15 years old. A twice yearly inspection of your roof is recommended by the National Federation of Roofing Contractors, and the ideal time for that is in Spring and then again in Autumn. You can find their website here for more details: http://www.nfrc.co.uk If you have concerns about your roofs condition, the give Quality Roofing Nottingham a call on 0115 736 5995 and we will be happy to visit your home and discuss any problems.